Terra Alta is a region that I’ve been tasting regularly for nearly a decade and the changes they’ve been making are impressive. This really all came to head with the election of a DO president from a boutique cellar that’s trying to push a heavier quality angle to the region. I feel that they’ve done a smashing job of reaching it and really “owning” White Grenache. 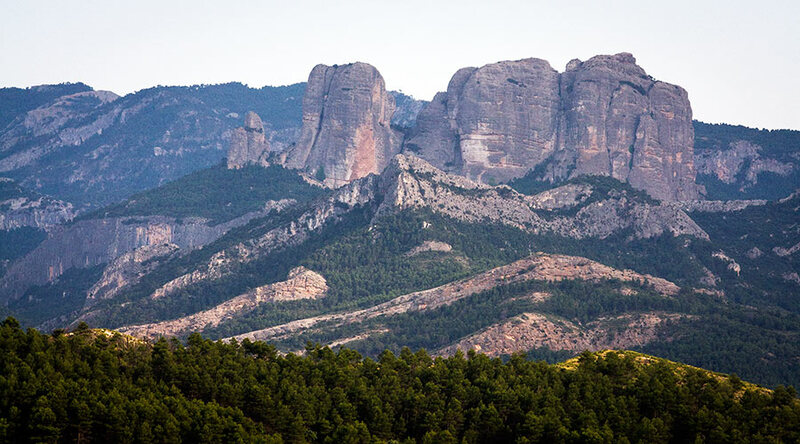 I would highly recommend reading up on Terra Alta and in particular, this article I published last year and it gets into the themes and changes that have affected this region in a most positive of manners. Lemon color, light straw notes with very defined white peach, apple blossom, and a pleasing pomegranate freshness. Perfectly integrated in the mouth with medium acidity and medium plus intensity, lively and juicy, barrels notes present but mostly integrated. Lemon with a tinge of green, sweet vanilla and grapefruit citrics, minor green pear notes as well as savory mint and wild herbs. Balanced, expressive and savory in the mouth. medium acidity works very well with lengthy citric notes and finish. Old vines. Very hefty bottle. Bright lemon in the glass. Grapefruit and vanilla wood notes, light green pear, and wild herbs. Delicate and nervy on the palate, very much alive and well’integrated, lingering finish with yellow peach notes. Good deal of finesse. Glowing pale lemon in the glass. Subtle white peach, almond blossom, gentle lemon pith and stoniness. Full on the palate put luscious and citric with medium acidity and a lingering, delightful finish. Straw hues, quite dominated by barrel notes at the moment although lemon citrics, and a strong backbone of minerality are already coming out. Lively in the mouth with the aromatic aspects coming forth and a good, medium plus acidity really driving the wine. Golden straw, sweet vanilla and yellow peach, honey, light almond, and overall creamy. Full and structured in the mouth, wood quite evident although citric notes come out more, medium plus finish. Clean straw in color. Grapefruit and autolytic notes, buttery, with traces of old wood to it. Full in the mouth, yellow peach notes more prevalent, quite persistent and pleasing. Straw and clear. Yellow peach, apricot, and full of orchard notes, rose petals, very floral, and expressive. Lighter in body, citric notes more prevalent, and a backbone of sweetness that runs through it, but holds a good, persistent, medium finish. Clear lemon in color. White peach and lemon pith over a bed of mineral notes, driven by citric aspects. Fresh and crisp in the mouth, holding good acidity and very pleasing finish with white fruit notes. Pale lemon, pronounced white peach notes, light limestone minerality, lemon citrics as a backbone, and white blossom notes. Nicely integrated in the body with the citric notes becoming more prevalent and medium plus acidity, inspires many food pairings. Star bright lemon, grapefruit, crisp rosemary and thyme, leafy notes, and an underlying minerality. Well-integrated on the palate, balanced intensity, medium plus acidity, citric skin notes become more prevalent, fresh, lively finish. Light mature peach and almond blossom along with some tropical notes of pineapple, and a good hit of stony minerality. Crisp and lively on the palate with green apple notes really shining through and a medium finish. Bright lemon, grapefruit, grapefruit skin, lemon skin, mineral, flinty. fresh and playful in the mouth, barrel notes well-integrated and leads in to a lengthy finish. Crisp grapefruit, light green pear and apple, lime peel freshness. Fresh apple and lemon pith more prevalent in the body with medium plus acidity and a good crisp lead in to a lingering finish. Golden straw in color. Vanilla and pine quite prevalent along with white blossom lily notes, very fragrant overall with sweet honey. Lively in the body as well with the honey and floral aspects pervading. Very exciting wine even if I might only want a glass of it. Like a White Grenache Gewurztraminer. Lemon and clear, light almond blossom, white pear, creamy brioche notes. Even on the palate, expressive and crisp with white fruit more evident and a medium finish. Lemon color. Red apple and red pear notes along with very well-defined clay-limestone minerality. Delicate in the mouth with well-balanced acidity and orchard fruit notes lingering in to the finish. Rich straw in color. Full waft of lees and old wood notes along with yellow peach and bruised apple and a hint of white pepper. Wonderfully right and full in the mouth albeit with medium minus acidity and a bit of a short finish. Straw color, sweet yellow peach with white pepper, and a bit of almond blossom. Strong lemon citric notes on the palate with medium acidity and light bitter lime notes in the finish. Straw colored, touch of bruised red apple, floral notes of potpourri, and Christmas spice, vanilla underpinning. Medium palate although well-integrated with a good deal of lemon pith coming forth and a medium-length finish. Lemon with a greenish hue, honeyed notes, sweet lime and green apple, candied fruit. Overall fresh in the mouth and while not highly intense, it holds a savory aspect that carries it well through the finish. Pale lemon in color, fresh grapefruit, white peach, vanilla and white pepper, thyme, and a bit of old wood. Full and lively on the palate, vibrant yet with medium acidity, citric notes prevail but kept in line and very fresh in the finish. Grapefruit and lime peel, bit of bitter melon as well and minor floral notes. Lingering lime blossom. Full in body with well-balanced acidity and structure and a pleasing fresh finish. Lemon pith and white pear but overall quite floral with dogwood blossoms followed by a good try of melon. Light intensity in he mouth with acidity well-placed and an astringent finish. Citric lime notes, green apple, and light wild herbs, sage. Balanced in the mouth with well-braced acidity and a medium finish. Greenish lemon hue. Light green pear and chalky aromas, savory herb notes, grapey fruit underpinning. Balanced in the mouth, good acidity, not overtly complex, but well-rounded and pleasing. Pale lemon on color, ripe white peach, touch of minerality, wild herbs, sweet spices, green cherry. Lemon pith and citric prevalent in the mouth, medium acidity and generally integrated with a medium minus, astringent finish. Vibrant lemon. Grapefruit and marked notes of barrel fermentation, with citric peel and like white pear, minor sweet spice notes. Not of terribly high intensity in the mouth with citric astringency dominating. Overall pleasing but not striking. Greenish lemon in color, white peach, vanilla cream, lemon skin, light caramelized notes, and a hint of mint. Crisp acidity, light sweetness and somewhat light body with short finish with lingering astringent notes. Clear and straw, earthy and mushroom notes, mature pear, and underlying green fruit. Slightly sweet aspect on the palate, clean and direct with good acidity, and medium finish with lingering earthy notes. Golden straw, lime peel, floral, white blossoms, white peach, and pear. Medium intensity and acidity in the mouth, citric notes most prevalent but fall off quickly in the finish. Golden color, light oxidized nutty notes, toasted hazelnuts, minor white pear and cumin. Smooth on the palate and well-integrated but generally lacking in intensity and finish. Pale lemon, strong lemon and grapefruit notes, fresh, crisp green apple, wet stone. Medium minus intensity, fresh and citric in the mouth with a clean finish. Lemon in color, lemon pith, green apples, almond blossom, limestone minerality. Light on the palate without too much intensity, goof acidity, fresh, but not too much else. Blunted green apple and cantaloupe, minor lemon skin and not a great deal of intensity. Savory and fresh and in the mouth with balanced acidity and body albeit with a medium minus finish. Lemon with a touch of green. Melon and green apple, light dogwood blossoms, low intensity. melon fruit more in the body, medium plus acidity but with a rather short finish. Lightly pale lemon in color. Sweet grapefruit and lemon skin notes along with minor cantaloupe and a splash of minerality. Fresh in the mouth but without a lot of depth.